For as long as I can remember I have always felt there was something different about me. I could tell this because of how other people have and do treat me. Even as a toddler I felt tired all the time. I took lots of naps around the age of 3-4. Even in nursery school I remember being tired. I was not athletic and have always had low energy. I had very weak ankles and sprained my ankle really bad as a little girl. I was always sick with lots of sore throat issues. I was always at the doctor with some illness and on antibiotics. In my teenage years I had leg and body pain and headaches. In school teacher classified me as being smart but lazy. My school work was awful and I almost got left back. I was bullied from elementary school to High school which still stays with me to this very day. The wounds have healed but the scars are still there. I had few friends. At the age of 12 I tried to commit suicide and thought of it often. I felt like I was a mistake to be born. It took years to overcome these negative things in my life…but I thank God for seeing me though everything and even using my suffering to change me in my heart to see others who are suffering and have great compassion for them. Every day is still a battle because I still suffer with several illnesses that has affected my health and personality. It has affected how others see me and interact with me. Because I never feel well it has caused me to be very quiet at times and needing to rest a lot. There are many times I just don’t feel like talking or being bothered. I have to constantly deal with how I feel from one minute to the next and being in pain all day everyday. I have learned how to adapt. I’ve learned to rest a lot and try hard not to overdo things daily which can be very isolating at times. I have a hard time showing emotions. It’s very hard to be jovial and animated when you don’t feel well. Since I have a hard time with verbalizing emotions, I have adopted a habit of doing things for others for two reasons. One…to encourage people and two to show the people I care about that I love them. It’s my way. It’s who I am and how I’ve learn to express myself. 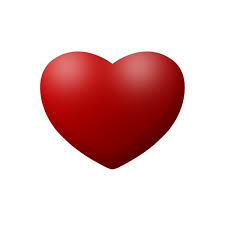 For those I care about….they just know I love them. In my world where words don’t come easily… I’ve made my way of expressing my love for others work for me. 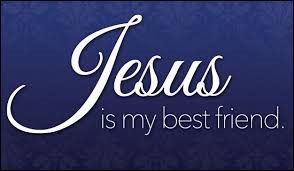 Jesus IS our very best friend!!!!!! I have lost many friends and family who could not deal with who I am. There are few people in my daily world. These are very personal thoughts that I have and I feel I want to share them with you at this time in my life. I recently have had to understand with some things about myself. I have had to understand how this life long illness has affected who I am. I’ve looked at those who have hated me and those who love me. I have checked my heart to make sure I have forgiven all and I hold those close who have loved me regardless of my unique nature. I’m very thankful for the very best friend I have ever had and will ever have and that is Jesus Christ. He is who sustains me every day. My comforter, guide and greatest supporter and nurturer is the Holy Spirit who fills me up every day. I’m so thankful for His constant presence. Emotionally and physically my life has been a challenge…but I would not change anything at all. It’s who God has allowed me to be. All of my suffering has made me look to God so much for my help that it actually has lead me right to the foot of Gods throne in humility and worship. I praise God for so much grace and for every victory He’s given me to make it through all the challenges. All of these trials has also made me truly grateful for the new body and life I will have with my Father forever. I will be perfect in every way when I get to heaven! I will be changed by our creator into a glorified body. His transformation has already started in my spiritman and will be completed one day soon. Thank you Jesus!!! 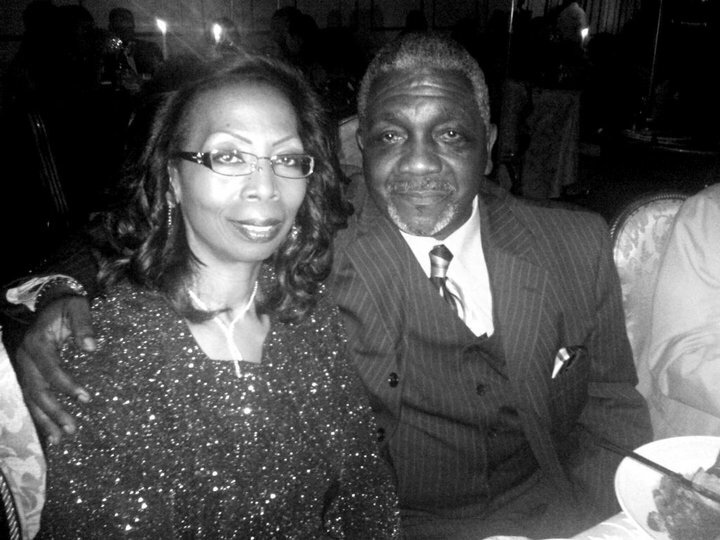 There are people now who see me as God sees me… like my wonderful husband. How does this man survive with me and love me the way he does? I know he sees Jesus in me and I know his heart is full of the love of God because of the way he treats me and loves me. I’m sure there are many people out there like me. One of these people may be your mother or father, sister or brother, kids, husband. We are not people who seem to be standoffish, snooty or stuck up. We are people who because of a variety of reasons act somewhat differently from what people classify as the “norm”. Everybody wants and needs to be loved. There is a great scripture that I’d like to leave you with…. There was a time that I didn’t know how much God loved me. I wasn’t’ sure of His love for me at all. I couldn’t see it or feel it. Today when I was praying I was feeling His love so heavily. 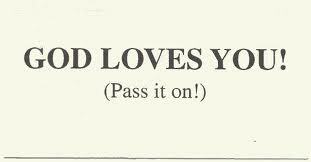 Of course we know because the bible says He loves us. But it is way deeper than that. The first reason I know God loves me is because the more that I have studied about God and found out who He really is…the more that knowledge became real in my spirit and revealed truth to me!!!!! The power of the Holy Spirit supernaturally confirmed this directly to me!! God has a supernatural way that He communicates with me. I know that I know! So for me….the more knowledge that I know about God…the more I feel His love and why He let Jesus do what He did for me! The second reason I know God loves me is because of all the past miracles He did for me and also for the many victories he’s given me. If I’m a Christian and I don’t know how much God loves I will faint…stumble….and doubt in His abilities to see me safely through my life. I WILL BE A VERY WEAK CHRISTIAN! I really needed to share my revelation with you today. Be strong in God’s love! God bless you!!!!! We all know why Jesus did what He did…but do we know at what cost to Himself emotionally? 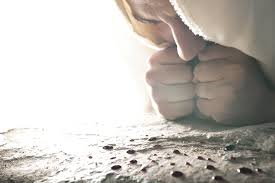 Jesus prayed to His Father before He was crucified…..
Like 22: 41-44 He withdrew about a stone’s throw beyond them, knelt down and prayed, 42 “Father, if you are willing, take this cup from me; yet not my will, but yours be done.” 43 An angel from heaven appeared to him and strengthened him. 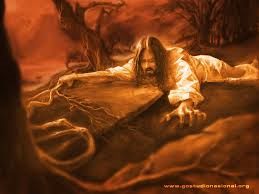 44 And being in anguish, he prayed more earnestly, and his sweat was like drops of blood falling to the ground. Mathew 26:36-39 Then cometh Jesus with them unto a place called Gethsemane, and saith unto the disciples, Sit ye here, while I go and pray yonder. 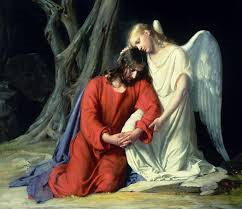 Jesus was in such ANGUISH that an angel had to come down from heaven to strengthen Him. He needed supernatural help for Himself, for His heart…His soul…and His strength. Why? He prayed with every bit of strength He had in His body. He prayed so hard that He was probably dehydrated and very very weak from His body releasing great amounts of sweat to the point that it looked as thick as blood. In the past Jesus showed emotions like anger, disappointment, compassion, love and now being exceeding sorrowful to death. This was a very powerful emotional state that Jesus was in. Why? Jesus….”FELL on His face! That was a powerful show of emotions for a man to display. Jesus was faced with seeing and experiencing the nastiest, vilest, most disgusting, horrible, horrific, horrendous, immoral, sadistic, evil, deviant behavior ever to be done by all humanity. He was going to carry every sin onto Himself!!! When we see stuff on TV that’s horrible like what that man who held those 3 young girls captive and tortured them for all those years and what happened in the killing field of the Sierra Leone…all this and much more… Jesus took on for all humanity/the world. Jesus also had to deal with having His Father turn away from Him because Holy Father God could NOT look upon…”sin” that was going to inhabit Jesus even if it was going to be briefly. Writing these things this way seems to bring this down to my understanding and does not show the intensity and seriousness of this horrible event in Jesus Life. My sacrificial time is almost here. This is going to be so difficult to handle in this human form. I must talk to my Father….I need to pray right now. Let me get a few of those I trust to go with me and pray. O my Father, if it be possible, let this cup pass from me: nevertheless not as I will, but as thou wilt. Father…what you have asked of me is so very hard to do. I understand about your Holiness. I know why I’m doing this and I’m OK with it because I know that it must be done. It was our plan from the beginning. I agreed to it because I wanted to be obedient and because of my heart and love that I have for your creations. The thought of experiencing mankinds sin is horrifying to me. My heart breaks to see the ugliness of it all Father. My Father…I know if it was another way you would spare me of this. Father all the berating and all the severe beatings and torture I endured…. was all for them!! I let them treat me like a worthless piece of trash because I know that what satan and all the evilness that he had planned for them is going to be defeated. I know what the results are going to be for all my suffering. Father….the thing that is the hardest pill for me to swallow is…..you having to turn away from me because of the sin I will bear for them. I’m so deeply sorrowful about this. Father…oh Father…if it be possible….if only it didn’t have to happen this way. I love you so my Father that even the thought of one second away from your presence grieves me so. Are you positive there is no other way to remove their original from them? Father…I will do anything for you and I will do this because it is your will. Your love for the world is so great that you would allow me your own Son who you are pleased with to go through this. Oh my Father…I hope they will understand what you have done for them. I hope they will understand that I’m letting them do this to me because I love them also so so much!!!! Will they remember this? Will they tell others? Father…thank you for all that you have done to help me through my earthly ministry. 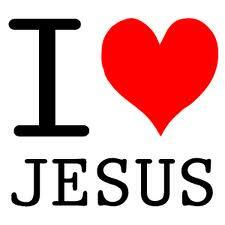 I love you Father! This scenario is only my thoughts and not a anything more. Jesus was human and had feeling. We think of Him as coming to earth like Superman…but He was…human. I cried as I thought of these things I wrote. I don’t want to ever forget what my Jesus did for me. I think about it every day!! Jesus commanded that we celebrated Holy Communion in remembrance of His act of mercy and love towards us. For me every day is Easter. We are coming to a special day that we celebrate Jesus Christ death and resurrection. Let’s also make sure that we keep the spiritual significance that this Christian holiday deserves and steer clear of all unimportant things pertaining to it. Worthy is the Lamb of God our Lord and Savior Jesus Christ! Psalms 18:1 I will love you, O LORD, my strength. The word “will” in this scripture is interesting because the meaning of will is intent. Some bible translations have…I love you, O Lord my strength. I personally Love the Lord…but I also know that my love for God grows and will continue to grow as my relationship continues to mature in Him. So I am in love with the Lord and my love is getting stronger. I will never be able to love the Lord the way I want to as a human being because I am not perfected yet and won’t be until my transition day when my body dies. The motivational force in my life right now is my love for the Lord. I’ve tried to give you all a break in hearing me say how much I love the Lord over and over again. I could profess my love for the Lord all day everyday…but I know God wants me to keep a balance in my life. So my life is filled with my faith in God the Father, Son and Holy Spirit…in family, church, prayer, bible study, my task for the Lord and sharing the good news of Jesus Christ. My life is continually being in prayer with God on and off all day. I have to be honest and tell you…the only time my mind is not on the Lord so much is when I’m shopping…I wish it was…it could probably save me some money LOL! All kidding aside…my point is my love for the Lord is my strength. God has been there for me through everything that has happened in my life. I love the Lord so so much and I have this on my mind and in my heart all the time. 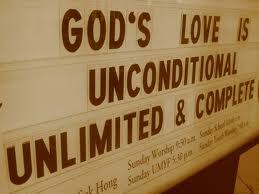 The Holy Spirit uses this in my life because He is always reminding me that I do love God a lot. This helps me live a life pleasing to the Lord. Like yesterday….I went to Burger king to get a salad for lunch…yes I know…a salad from Burger King. I’m still committing to my New Year’s resolution of eating better praise God!! The cashier gave me back $10.00 to much…but…I love the Lord and want to shine for Him…I gave that money right back! How could I keep that money loving God the way I do? The Holy Spirit that lives in me and knows how much I love God and want to please Him is there to help me stay on track. If I didn’t love God so much… I don’t think I would be so willing to live right and be all God wants me to be. I think I would sin…a lot! My love for God is so important to me and God’s love for me is so important to me because….He is the strength of my life. This love thing between me and God keeps me going and keeps me strong. How does one become so in love with God? Someone will one day tell you about His love. My parents and my Sunday school teachers did for me. This is how it begins for us. Then it’s up to us to accept this love, accept Jesus Christ repent and believe in Him. You should pray…talk to God as much as you can. You should know all you can about the Lord which comes from reading and studying your bible. All the test and trials you go through and come out of is His love for you and when you learn to recognize this…it will expose His love for you. Many test many victories equals lots of love. Understanding why Jesus came and did what He did will increase your love. Think about this very often. Let it be a part of your daily meditation and prayer. 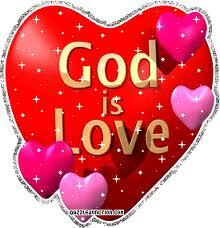 Time helps you love God more. Give it time for this love to develop. Over time as you see His overall purpose is for you to succeed in this life and everything He does is to bring you to maturity in Him you will fall deeper in love with Him. You have a life time…God willing. Surrender 100% of yourself to Him. 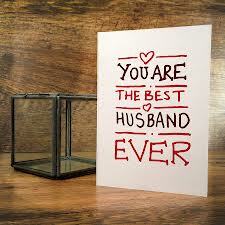 When I married my husband…I made a commitment to Him. We are committed to each other. When you surrender yourself to the Lord you made a commitment to Him and He’s committed to you. It’s an ongoing relationship that needs to be nurtured everyday…not just on Sunday, Easter and Christmas or when you have a need. It takes dedication on our part to maintain this relationship on a level that will be in constant growth. You must know God intimately. This can be done because of the Holy Spirit dwelling in us. God is a spirit and we need to approach Him in spirit and in truth and the Holy Spirit will help us to know God in a very close and personal way. I used to wear a button like this everyday for the first 7 years of my walk with the Lord…but one day I felt it was time to take it off so I could let my light shine through my life and my walk with the Lord. I want my life to point people to Jesus. So in closing….my prayer for you today is that you may gleam something from my blog and cultivate, improve and nurture your walk with the Lord. My main motivation for writing these blogs is for everyone to love the Lord so much and love Him with your body, mind, and soul and deeply with your whole heart. I know He is the strength of our lives and we need His strength so much. We need to feel His love. He is always pouring His love out on us…but we need to know this and feel this because this is what will enable us to hold on until our eternal life in Him has come. Then we will be able to experience the full love of God….the love that all of our loved ones who have made it through their journey and are living in the fullness of that love… right now. 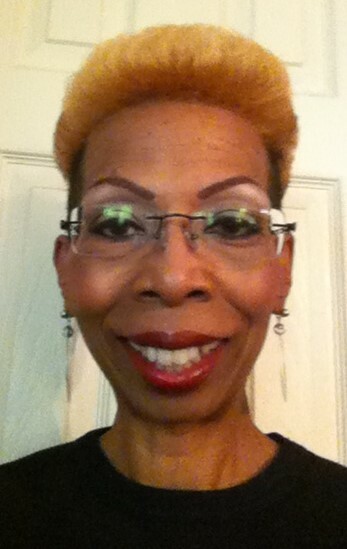 Oh…I love the Lord…He’s my love and….my strength! Message for today: Daily seek the Lord and your love for Him will grow. Now that is some incredible love!!!!! This is a continuation of my thoughts on a statement Oprah made on her talk show. Please read part 1 and 2 before you read this. I would also like to say here that I have no ill will towards Oprah herself…only this statement and her why behind it. She has done so many great things with her life and I truly respect her for that. This will probably be my last blog on the statement. Jesus gave up His life so that we mortals can have eternal life. We are flawed and require a sacrifice to be right with God. Everybody has and will have a chance to accept Jesus or not….that is a person’s choice. You cannot see God without Jesus Christ…this is not my random thoughts… it’s in the bible…so it comes down to believing what the bible says which is Gods words to us and the Holy Spirit confirmation of His word to our spirit man. Jesus was human when He came down to earth for His ministry and to be a human sacrifice for mans soul. Do you think He really wanted to be so brutally tortured and murdered? 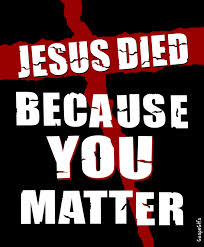 Why did He willing give up His own life?…….This is the answer……He did it out of His “LOVE” for us. Can anyone really understand the amount of Love Jesus has for us? 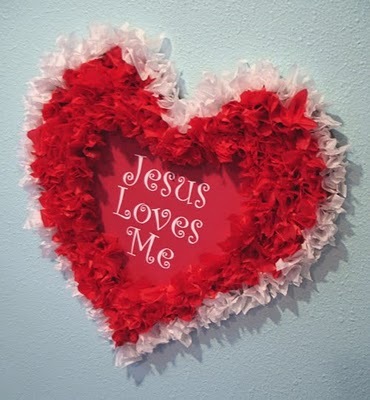 I have felt the love of Jesus in a very unique way which will be in my book I have written about my unusual experiences with the Lord in prayer…but I want to tell you a small piece of it now. In a vision I had in prayer I got to experience the love of Jesus. All I want to say at this time is I felt a microscopic drop of it and it was taking love and multiplying it by a trillion times a trillion….It was so overwhelming that I simply didn’t want it to stop and I no longer want to be earth-bound, but the Lord told me I had more work to do here so….here I am…writing this blog. Writing this experience on the blog cannot really express what I felt that day. It’s hard to explain such an emotionally deep experience. I believed this when I became a committed Christian…..I wanted to see Jesus…..and it’s possible to see and experience Him here on earth and when it’s my time to be up there……I’m going to see Him….I’m going to look right into His loving eyes and He is going to hug me and welcome me home to the place He has prepared for me. So…what about Jesus?…..well He is the key that unlocks the door and enables anybody to receive Him and gain entrance to heaven to be with His Father, Himself and the Holy Spirit. My mom and my baby brother whom I’ve never seen are waiting for me. Thank you Jesus…Thank you for all you’ve done for me!….I love you so! Message for today: It is…all about Jesus.